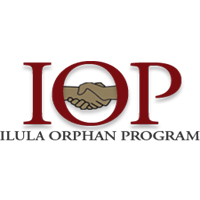 Ilula Orphan Program is a Christian outreach Non Government Organization, working to support Most Vulnerable Children in Tanzania. IOP was established in 1998 and was officially registered by The Registrar of Societies in The Ministry of Home Affairs Tanzania. IOP registration number is SO. NO 12054 August 27th 2003. IOP mission is to provide Education, Homes and Life skills to Most Vulnerable Children, Youth and Women for the purpose of making them become self reliant and responsible citizens of Tanzania.